We all know that smoking is bad for our organism. Moreover, we all know that it can lead us to terminal diseases like cancer and many other problems. Still, people continue to smoke and die without giving much thought of the process, trading their lives for smoke. However, recent researches have shown that men are less likely to develop diseases like lung cancer than women are. What is more, passive female smokers and women in general have altogether greater chances of developing lung cancer. This changes the situation completely, making women even more prone to doom if they choose cigarettes as their bad habit. Today, tobacco is the main killer in the UK, causing more than 38000 people to die each year, even 16000 of which are women. 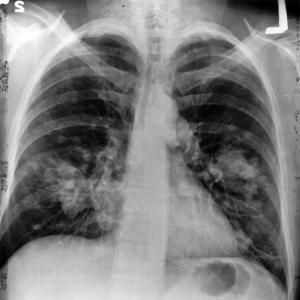 Even though this number is smaller in comparison to the male population developing lung cancer from tobacco, once we compare it with the statistics from 1950s, where the number of men with lung cancer was six times greater than that of women, we see that the number of women with some kind of tobacco induced carcinoma is rising with incredible speed. This is due to the fact that women are more prone to developing lung cancer at an early age, thus possibly shortening their life spans significantly. Most of these women from the research smoked much less than the men did, ending up with this deadly cancer nevertheless. A similar form of research was carried out in Switzerland. During the course between the year 2000 and 2005, over 600 women with lung cancer were included in the research and the results were fairly similar. Most of them have developed lung cancer at an early age, while smoking far less than usual men smokers do. On the other hand, men seem to die faster once they develop this cancer, being capable to fight it just for two years. Women, however, are capable of leading the battle against cancer for more than 4 years. Regardless, if we bear in mind that women develop lung cancer earlier, this is hardly an advantage in the first place. Today, lung cancer still continues to be one of the greatest women killers in the world. Thus, with all the other unhealthy aspects of the world we have created, women should truly avoid smoking since all researches done suggest that it only kills them and makes their lives significantly shorter. Naturally, the same goes for men who take part in this lethal addiction.